EMOTIONS-By teacher Request! Everyone has feelings, but you can make them easier for students to manage, identify, and understand with this unique product. (Use them in your resources as well!) 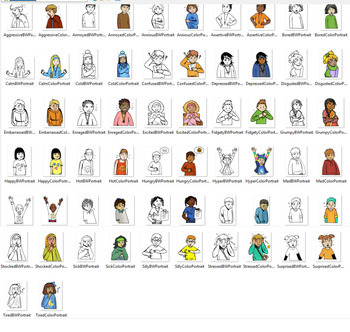 This fabulous clip-art set features 27 bw/27 Color (Portrait Body Style) emotions. Clips are 300 dpi pngs. about 3" by 5". 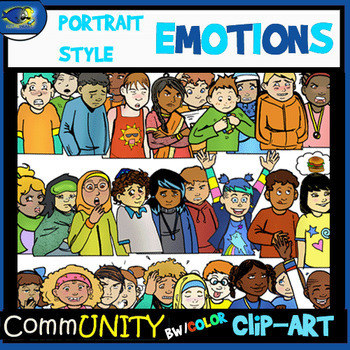 This clip-art set ( Emotions-Portraits Style Clip-Art Bundle) may be used for personal, educational, and non-commercial use. 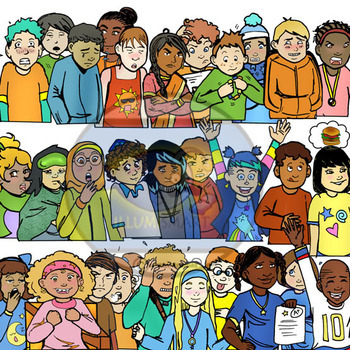 You may use clip-art only for commercial use-however this applies only for products sold at Teachers Pay Teachers. (See terms below).